Someone forgot to tell Samsung and LG that big product announcements the day before major US holidays is probably not the best idea, but hey, here we are. 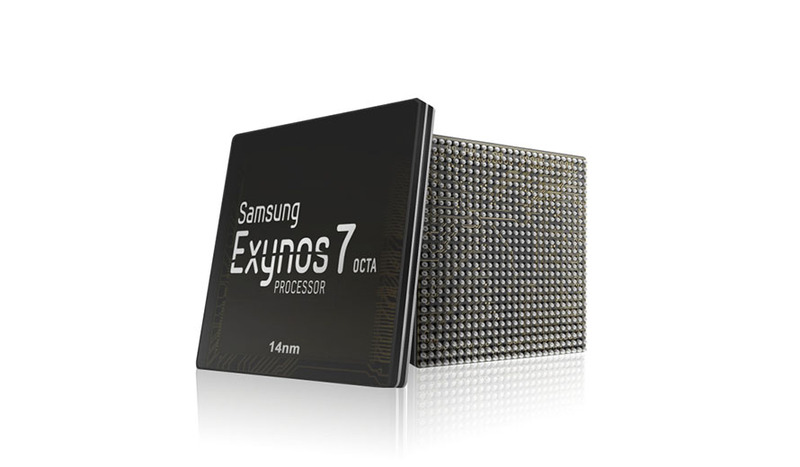 On the heels of LG’s announcement of the “luxury” Watch Urbane, Samsung went ahead and unveiled its new mobile application processor, the Exynos 7, built on 14nm process. The processor was built for next-generation smartphones, though Samsung wouldn’t specify if the chipset would be included in the upcoming Galaxy S6 and Galaxy S Edge. Over chipsets built on 20nm processor (Samsung’s specifically), the new Exynos 7’s performance is improved 20%, but maybe more importantly, reduces power consumption by 35% and provides a 30% productivity gain. Samsung is also incorporating “three-dimensional (3D) FinFET structure on transistors,” which helps the Exynos 7 overcome performance and scaling limitations from the planar structure used in 20nm processes. The timing of this announcement, being so close to Samsung’s March 1 MWC event, would lead you to believe that an Exynos 7 with this 14nm process would be featured in the next-gen Galaxys, but again, they didn’t state that.